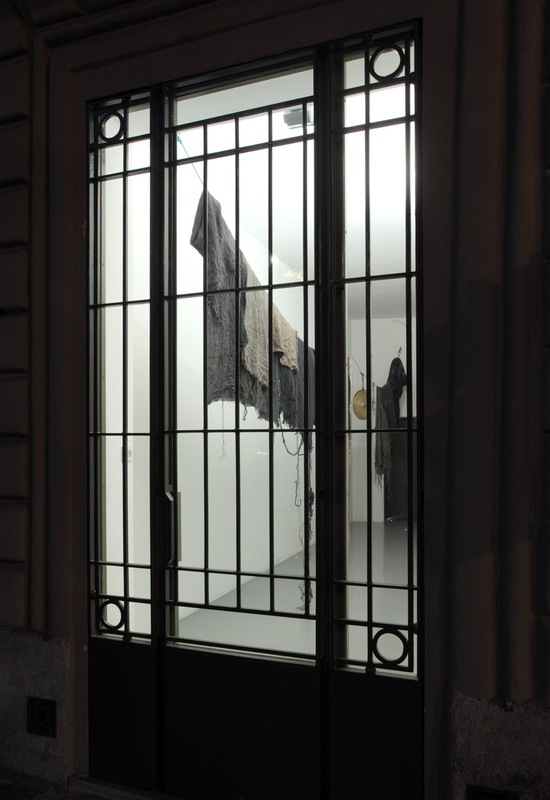 Galleria Franco Noero is pleased to present Phillip Laiʼs second exhibition project in Turin. 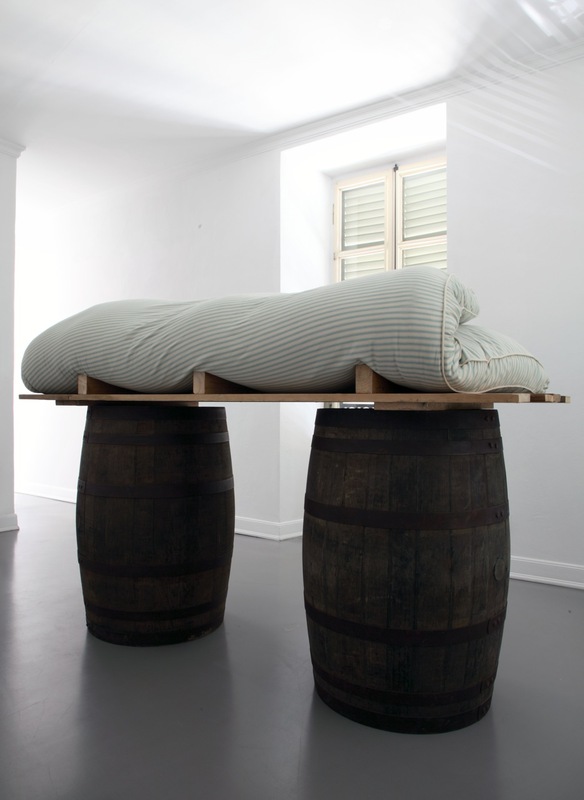 Its title, Visitor, an almost perfunctory term, quietly acts to set a premise that is at once pragmatic whilst carrying a deceptively defined imprint. 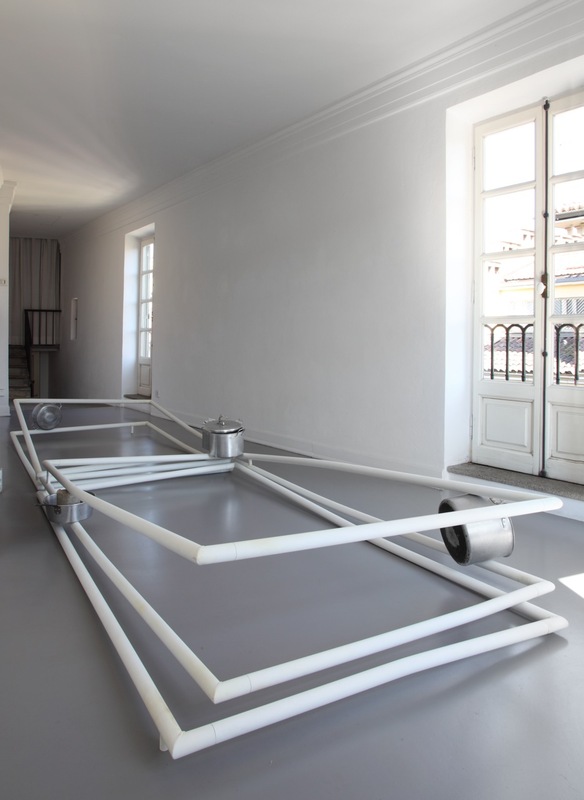 In this case it talks equally of the work and its audience, suspending them within the highly scripted condition of the gallery at Casa Scaccabarozzi. It is an idea that brings together eight new works, each of which track both an adaptive/assimilative as well as a transformative relationship to its placement, using a subtly varied fictive and imaginary presence. They contrast an asperity and apparent brutality of objects and materials with instances of elaborate combination and detailed attention. An aspect of disarray is also figured, gradually revealing itself to be a means by which the work may challenge cultures of acceptance and refinement and through which a reconfiguring can occur to offer a new and different conversation. 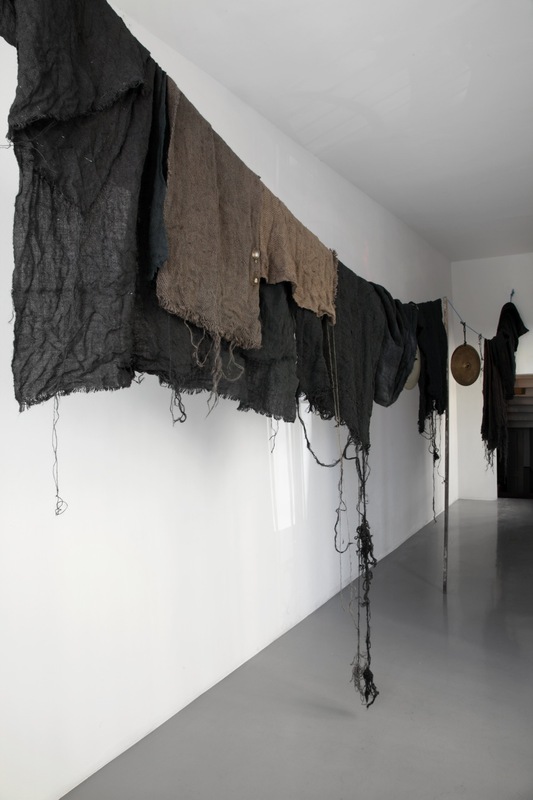 Surprising, partial glimpses of the work Co-presence are seen from the street windows, the work comprising a blue suspended cord running the entire ground floor length, on which remnants of hand-dyed jute are draped and heaped, together with cymbals and spoons. 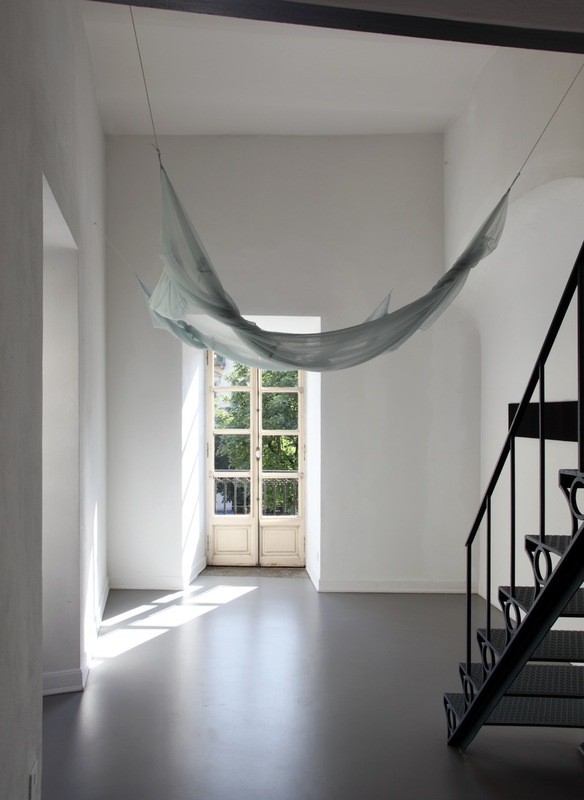 Curtain-like, it embodies ideas of revelation, visibility and ulterior presence. 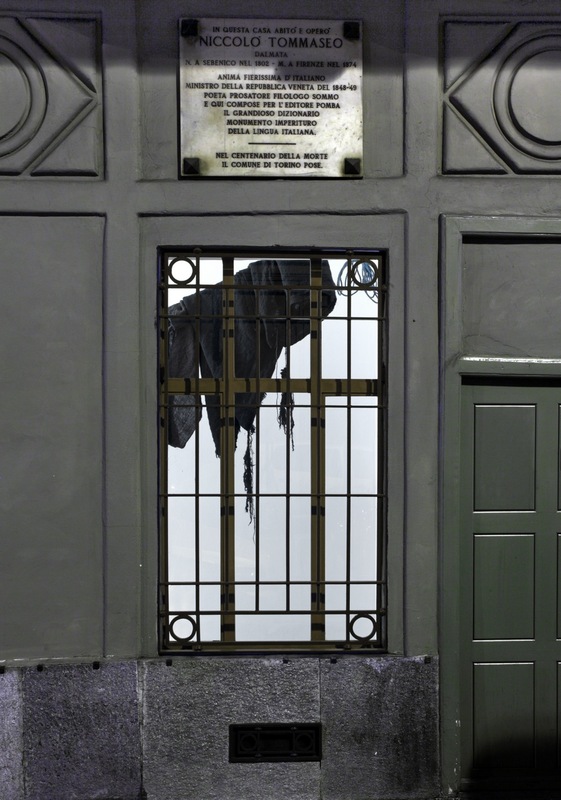 The dichotomy between what is explicit and what is veiled, and a subtle balance between lightness and oppressiveness are one of the recurrent themes of the works on show on the various floors of the building. 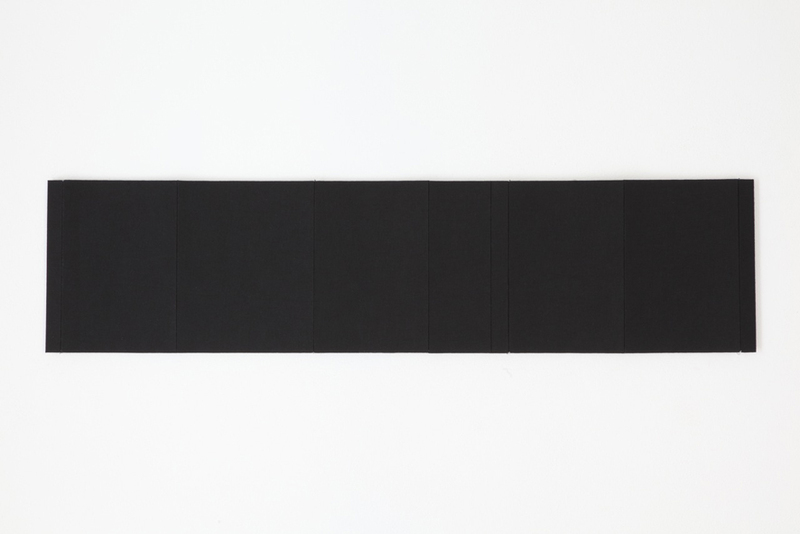 Black Books is a long panel made from muslin and black paint, resembling a curiously elongated and opened out sequence of book covers. 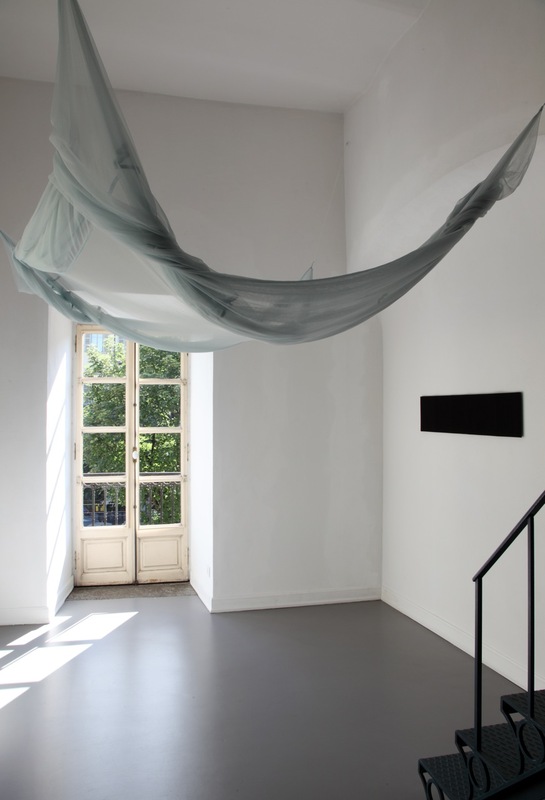 Its sharp formal presence acts as a foil to Vanishing Point, a mosquito net in tulle suspended amorphously, whilst also creating a dialogue across materials and through an evacuative gesture. 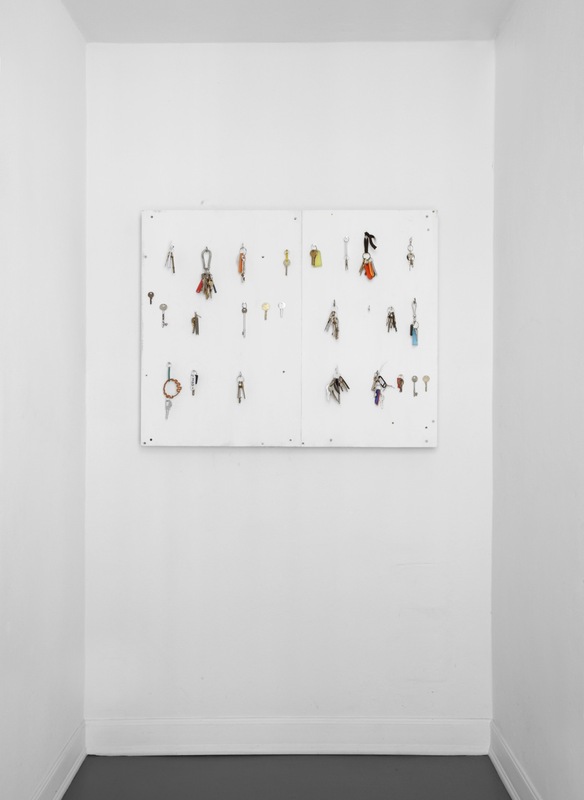 Untitled (Keys) is a rough panel on which multiple rings of doorkeys are set out, including many retained from the artistʼs previous abodes. They are lost specificities, now revised with modified teeth and other intricate manipulations to become like amulets of unknown origin. 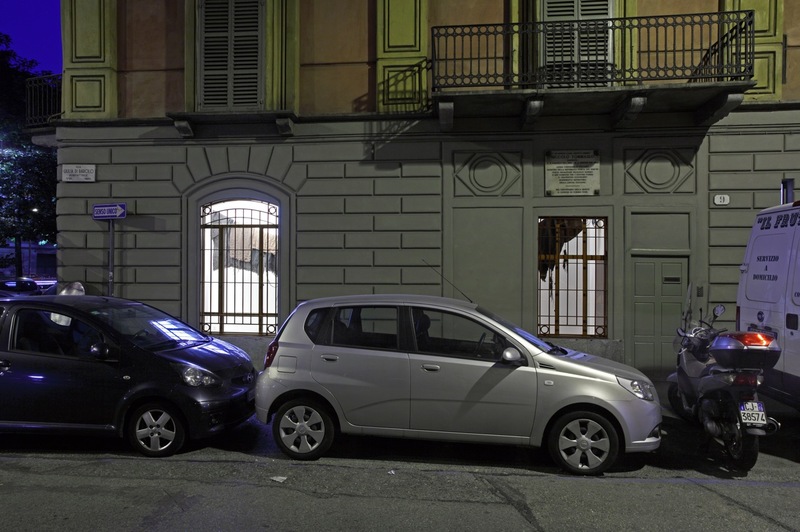 On the same floor the silent presence of Sleeper inhabits a space in which the buildings shutters remain closed. 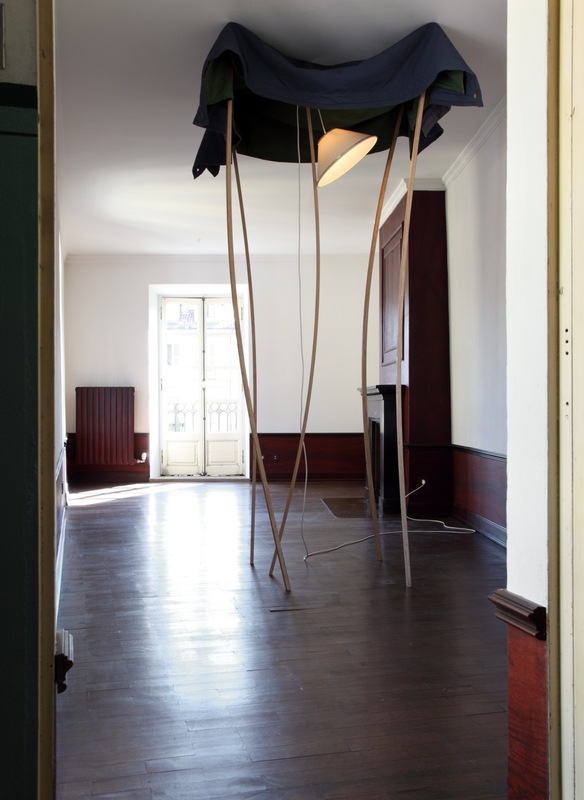 A singular and domestic dimension is continued in Subjects and Objects That Cannot Meet, where wooden strips press fabric blankets to the roomʼs ceiling, along with a lit interior lamp. It appears as a rudimentary baldachin whilst having an inverted sense and further emphasising a cage-like and cloaking aspect. 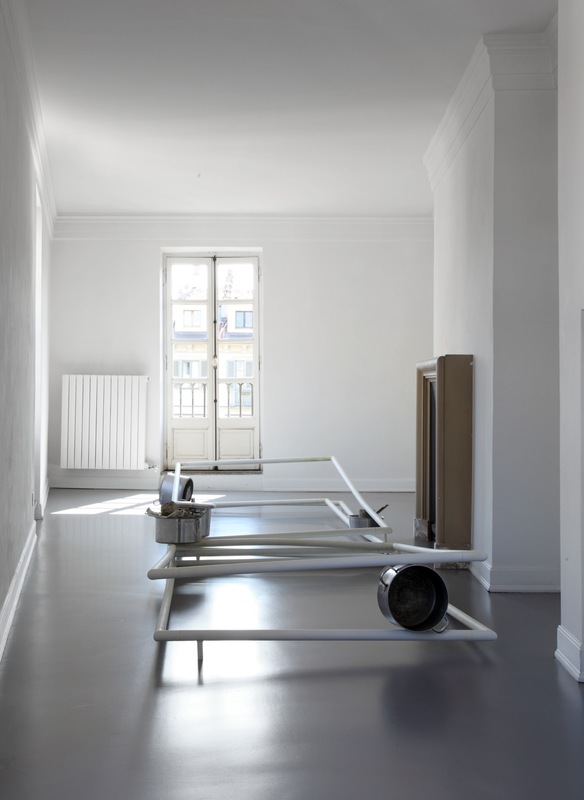 Constraint seems at first also presented in Monument of Possibles where objects from everyday life, such as pots and pans and newspapers, are held in between a stacked framework of painted steel poles. 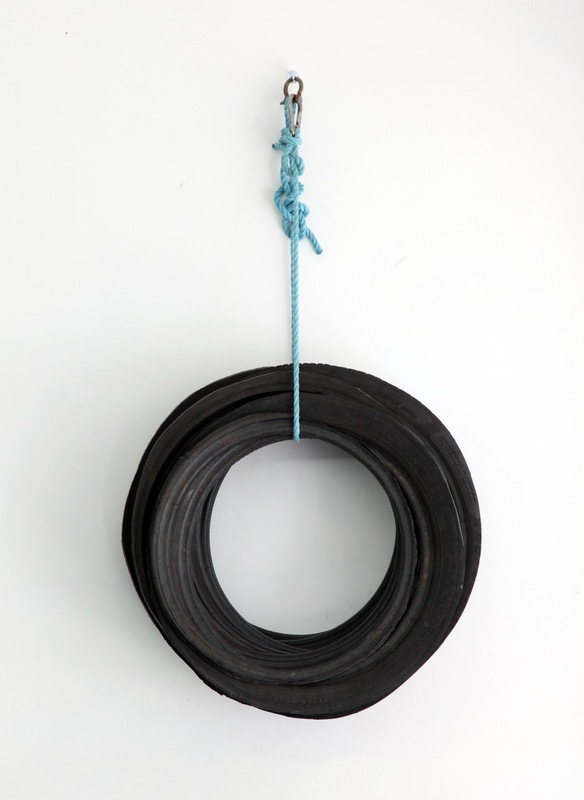 Yet the objects are distinctly interruptive and obstructive in character and indeed are insistent as images beyond their basic facts, taking on a rather more provocative presence through a sense of the improbable. Phillip Lai (Kuala Lumpur, Malaysia 1969) lives and works in London. 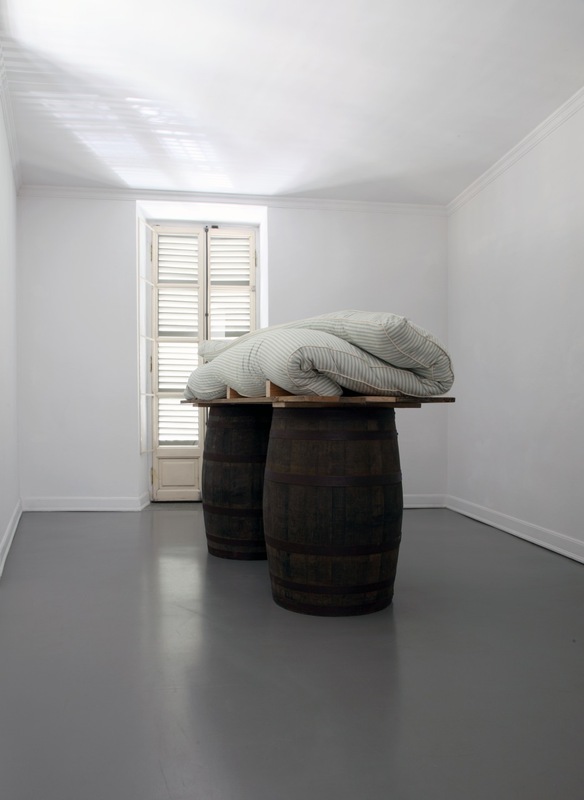 His most recent solo exhibitions include: Stuart Shave / Modern Art, London (2012, 2009, 2007, 2000); ʻIntroduction and Jargonʼ, Transmission Gallery, Glasgow, 2009; ʻOpen Containerʼ, Galerie Giti Nourbakhsch, Berlin, 2008; ʻA Metal Bar Fell on Someoneʼs Head or Somethingʼ, Galleria Franco Noero, Turin, 2007. Group exhibitions include: ʻNo Soul For Sale – A Festival of Independentsʼ, Tate Modern, Turbine Hall, London, 2010; ʻKeep Your Seatʼ, GAM Galleria dʼArte Moderna, Turin, 2010; ʻIn The Poem About Love You Donʼt Write the Word Loveʼ, Midway Contemporary Art, Minneapolis, 2007; ʻJohn Frumismʼ – Phillip Lai, Paul Thek, Mike Nelson – Hotel, London, 2006.